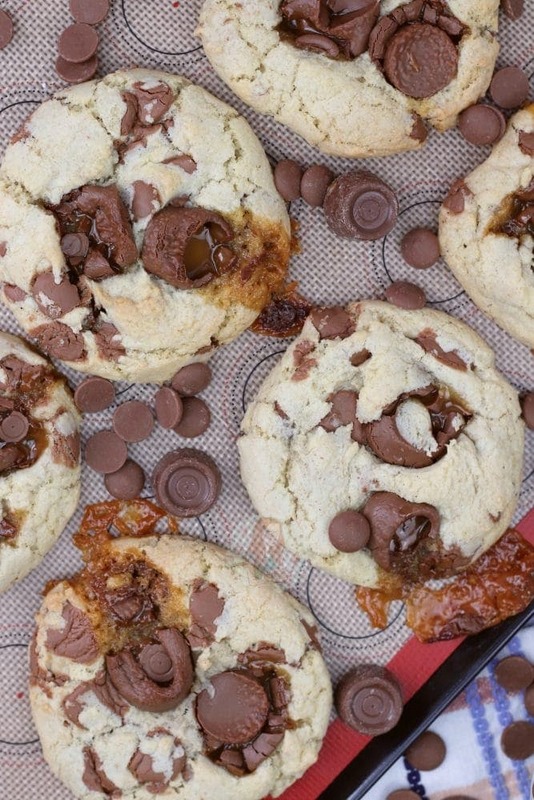 Large, Gooey and Delicious Caramel Rolo Cookies! For those of you who don’t know, Rolos are a big thing in my life. I wouldn’t say they are my favourite chocolate sweet or anything, but… I named my dog after the sweet… Some people might think that its a little weird, but my Rolo Cheesecake is the recipe that sorta made my blog what it is today after going semi-sorta-slightly-viral on Facebook a couple of years ago, and Rolo (the dog) is caramel coloured. It fit, we went with it, and I have no regrets of basically naming my Dog after a Cheesecake, but hey ho. The thing is, I get SO MANY REQUESTS for more and more Rolo recipes as some of my most popular and best looking desserts are all Rolo based! Something about them makes people go a little bit wild, so I thought I would give you another that you will all hopefully love just as much. My No-Bake Caramel Rolo Cheesecake is the big hitter, and then my No-Bake Rolo Tart and my Rolo Cookie Bars are just as much favourites, and I was kinda in a cookie mood again, so these happened. 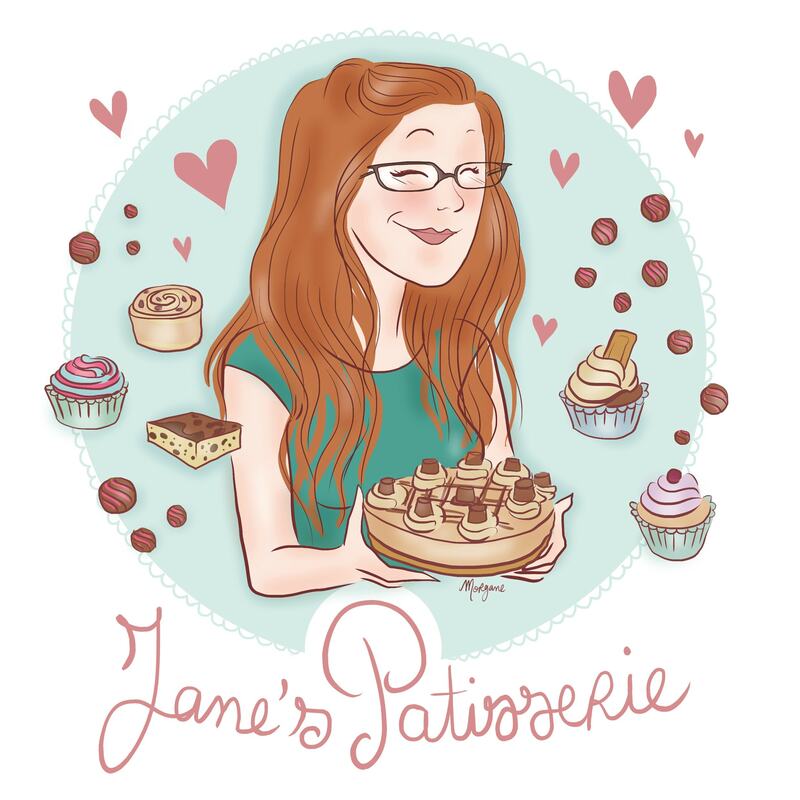 It is basically a recipe that is tried and tested as I have used it in other recipes such as my White Chocolate & Raspberry Cookies for example, and why mess with a working recipe? I will admit that in the cookies that have been photographed, I didn’t have any light brown sugar so I used all Granulated which is why they look a little anaemic… but trust me, they were still delicious. I made these a few times for utterly necessary testing… obviously… and they were all demolished Every. Single. Time. and I am proud of that. They do semi-explode in the oven sometimes, but you know what? That suits this type of cookie very well. 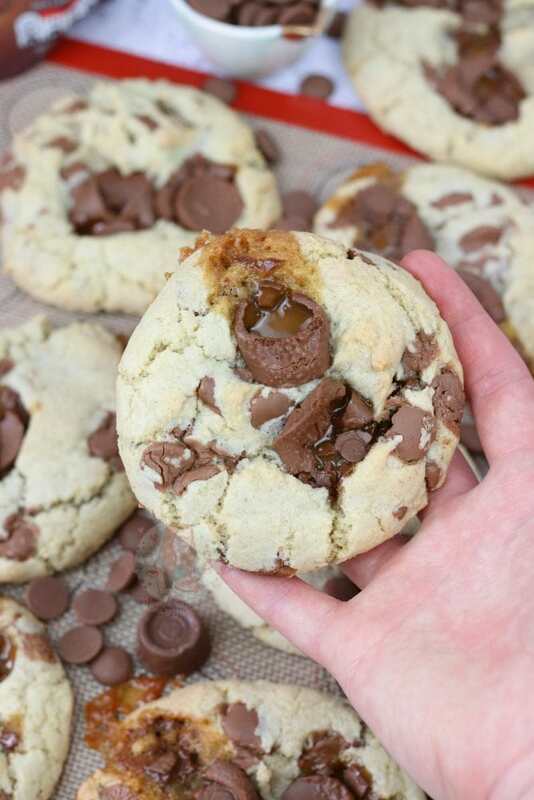 I like being able to see the caramel ooze out of the cookies as they bake. However, if you sandwich your cookies together too close before baking, this could become a stick disaster so see my notes section on the recipe for the details. 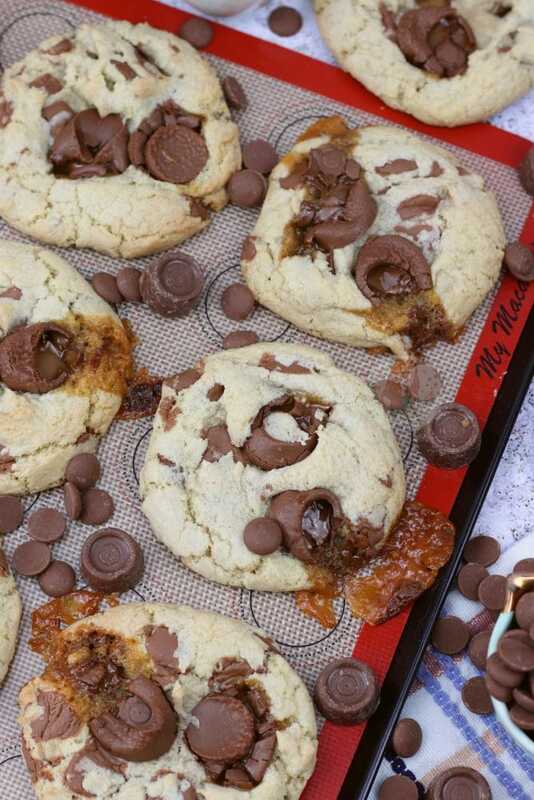 I know that supermarkets sell Rolo Cookies and all.. but no offence to whoever bakes them, or makes the recipes etc, but I always think they’re really quite average. I guess its because they don’t really put that many Rolos into each cookie, and I find them quite flat and pancake like in all honesty. I like a cookie packed full with delicious goodness, so I do that when I can. 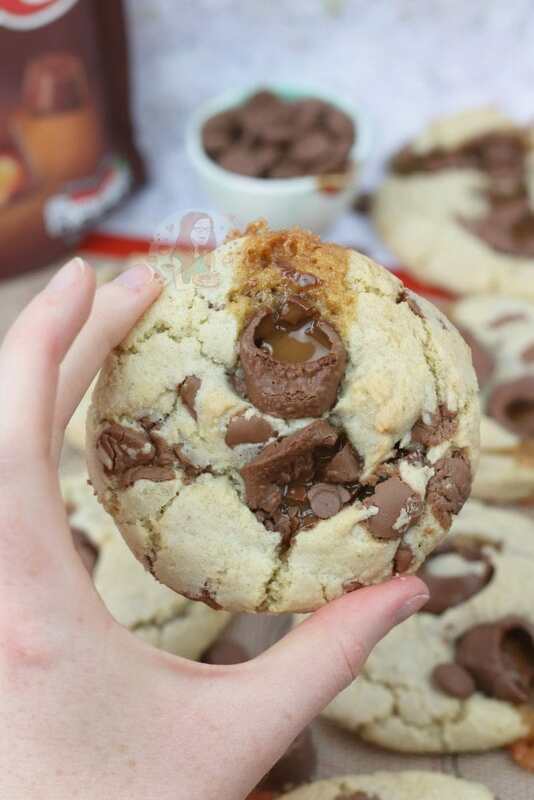 For example, you can only put so many Rolos in a cookie before it either becomes too expensive, or there is literally too much caramel for the cookies to handle. This is why I put some milk chocolate chips in my cookie as well to make them gooey, and basically the worlds most decadent cookie. I love a cookie with a specific centre like stuffed cookies, but thats for another time. These don’t need a caramel centre, they have enough Rolos to create their own. This is the sort of recipe where you could alter the sweet to something else, but I can’t guarantee how they would come out. 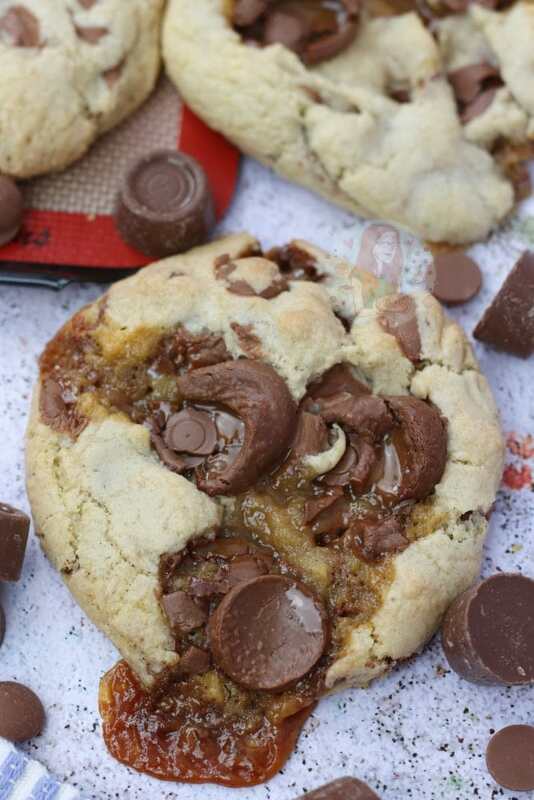 For example, Mars Bar Cookies would be DELICIOUS, but because of the fudge bit, they might be a bit more exploding then the Rolos.. but its up to you. Either way, a delicious gooey cookie is where my heart lies, so I’m not complaining. 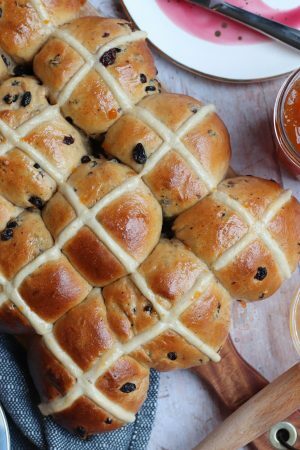 In a bowl, whisk together the Plain Flour, Bicarbonate of Soda, Salt, and Cornflour. This just distributes all the ingredients evenly. Add in the Egg and Vanilla, and whisk again briefly to combine. 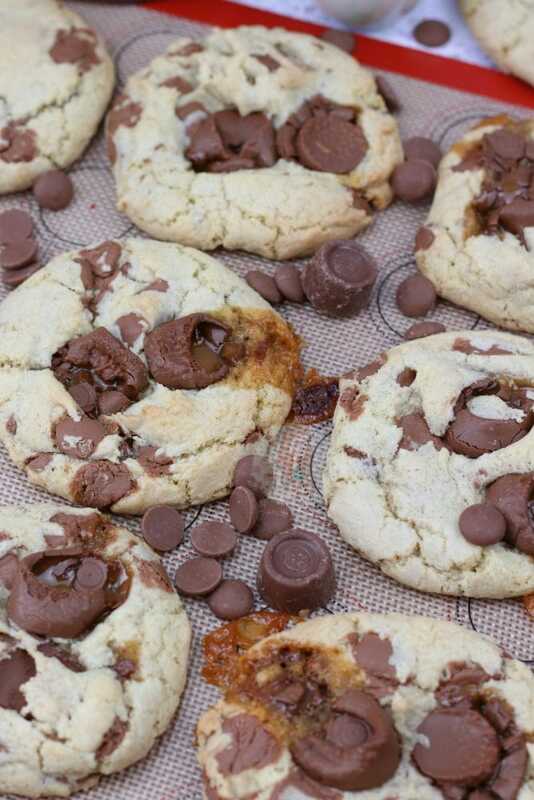 Add in the Dry Ingredients and the chocolate chips, and beat till a cookie dough is formed. Add in the Rolos and combine the mixes - don't use an electric mixer for this bit as you don't want to break the Rolos up too much. I made 15 Cookies out of mine, as I made them quite large. If there are any leftover chocolate chips or Rolos at the bottom of the bowl, press them into the top. Bake the Cookies in the oven for 12-14 minutes, and then leave to cool on the tray for 15 minutes before transferring to a wire rack. Enjoy! I didn't freeze my Rolos as I wanted the caramel to ooze. If you don't want it to ooze as much, its best to freeze the Rolos overnight so that they are solid. Be careful when these comes out of the oven as the Caramel will be VERY HOT. 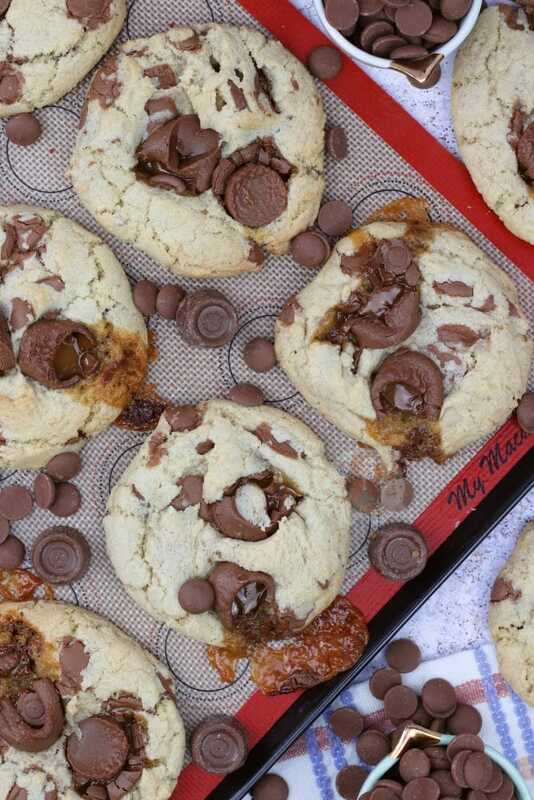 I used chocolate chips rather than chunks of a chocolate bar for the other chocolate in the cookies so that there was better distribution of chocolate for each bite! This recipe was inspired by my Rolo Cookie Bars! 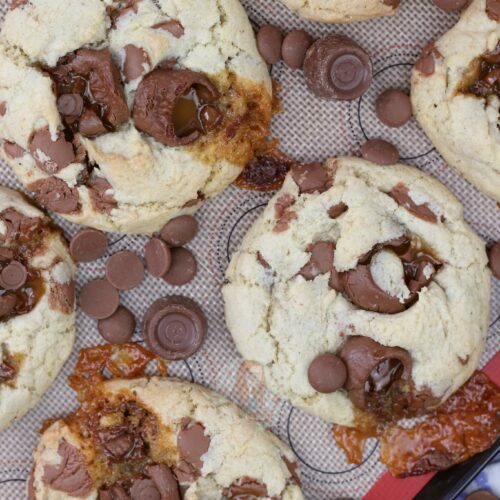 Find my other Cookie & Rolo Recipes on my Recipes Page! 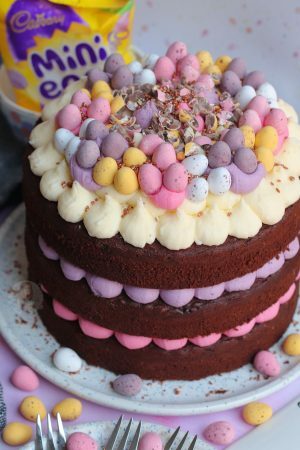 Older Next post: Malteser Drip Cake! Newer Previous post: Summer Berry Cake! 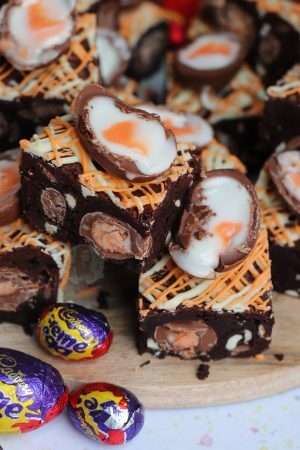 I just made these but with chopped up Mars bars…. worked perfectly. 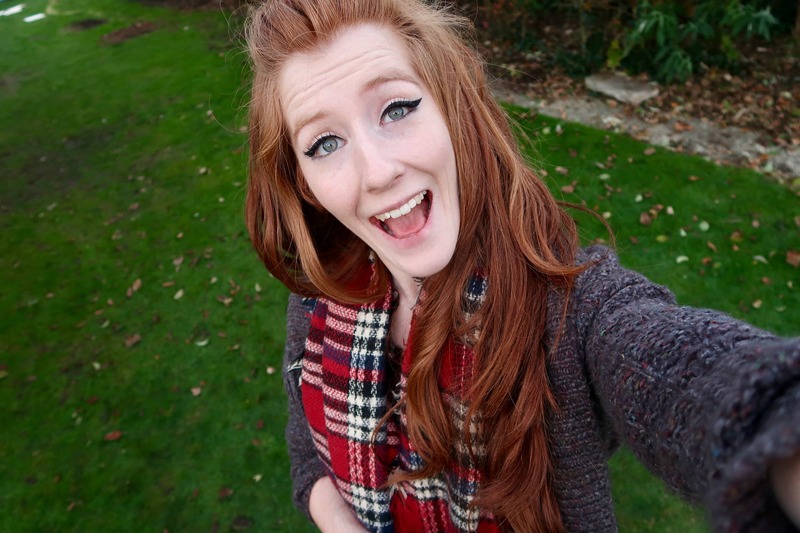 Ahh amazing!! I’m so glad you liked them! These cookies are amazing!!!!!! I need to make another batch ASAP! Thank you! 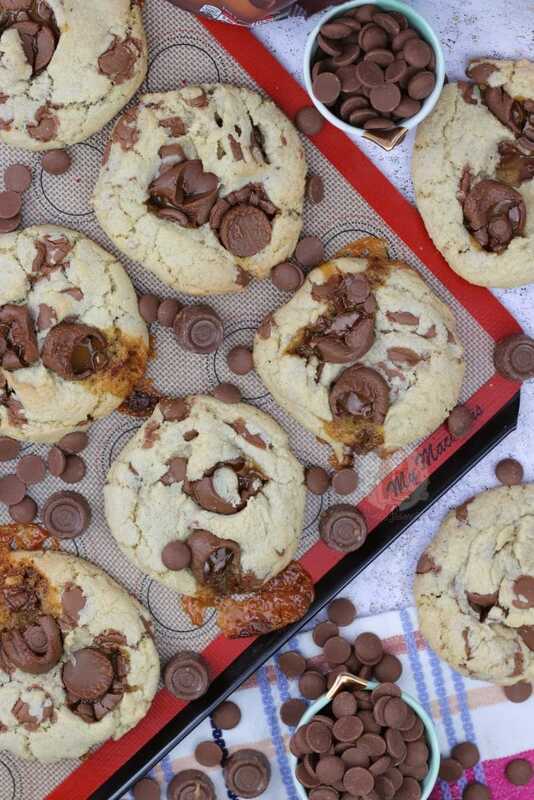 I made these but, I used Cadbury Caramel chunks (from the large 200g bar) instead because I just live Cadbury Caramel! It worked so well! Thank you for such and adaptable and yummy recipe! For anyone who prefers Cadbury chocolate and still wants the caramel goodness I recommend this sub!